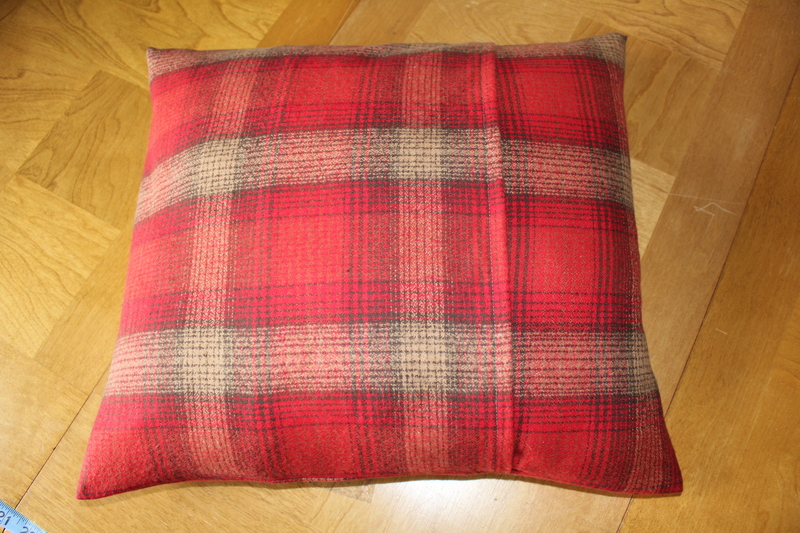 Envelope Pillow Covers are such an easy way to cover old or boring throw pillows, from one season to the next. I even like that I can take them off and clean them anytime I want. So to start, I needed some pillows. They don’t look to bad but when I made these ones I made the mistake of not reinforcing the seams AND not making the covers removable. So they were starting to fall apart and looked a little dingy. I think the fist day they were on the couch they got cheesy Cheetos fingers all over them. Next, I measured my pillows. They were 17″ x 18″. So I cut a half yard of fabric of each color, 18″ x 42″. Once I cut out my fabric I hemmed the short ends. 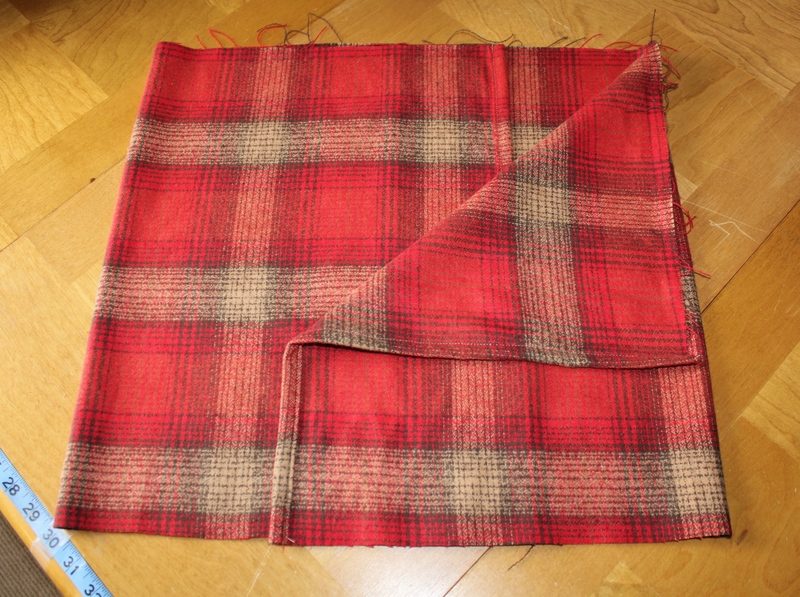 I rolled the fabric in a 1/4″ and then a 1/2″ again and hemmed. I did this to cover the unfinished edges and to keep the fabric from fraying when it gets washed. Then I laid the fabric on the table with the right sides touching and over lapped the ends by about 7″, so that it measured 18″ across. 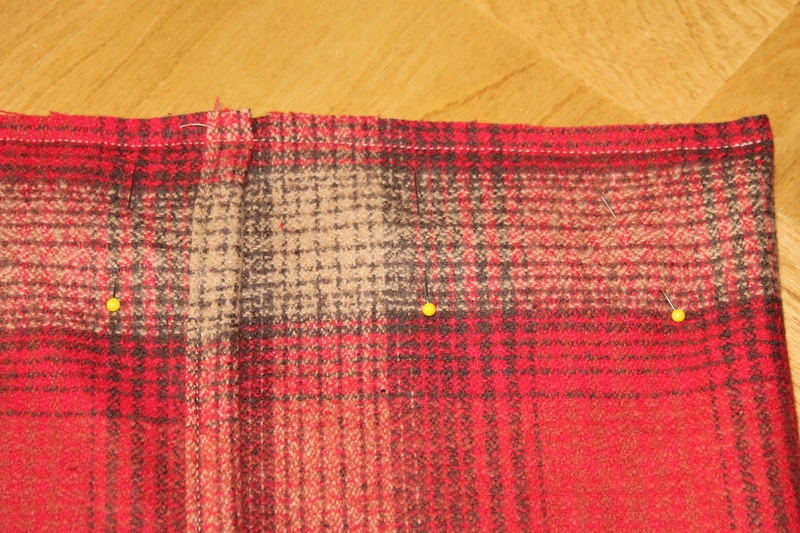 I then pinned the unfinished edges and sewed a 1/2″ seam on each side. I also went back over the seams with my serger, to reinforce them. I like my edges clean if you haven’t noticed, haha. 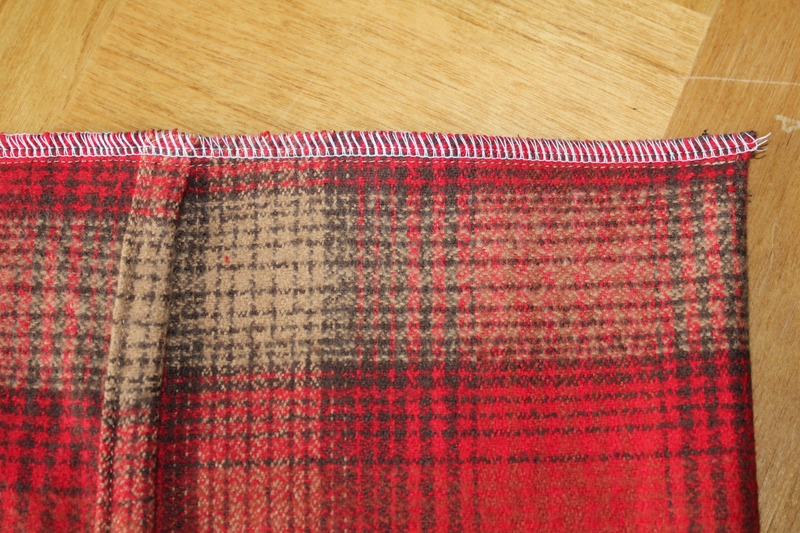 If you don’t have a serger you could use a wide zigzag stitch or trim the edge with pinking shears instead. Now it was time to turn it right sides out, YAY! I always love this part. I pushed the corner out with a chopstick (anything with a dull point would work). I put one end of the pillow in at a time and VOILA!! 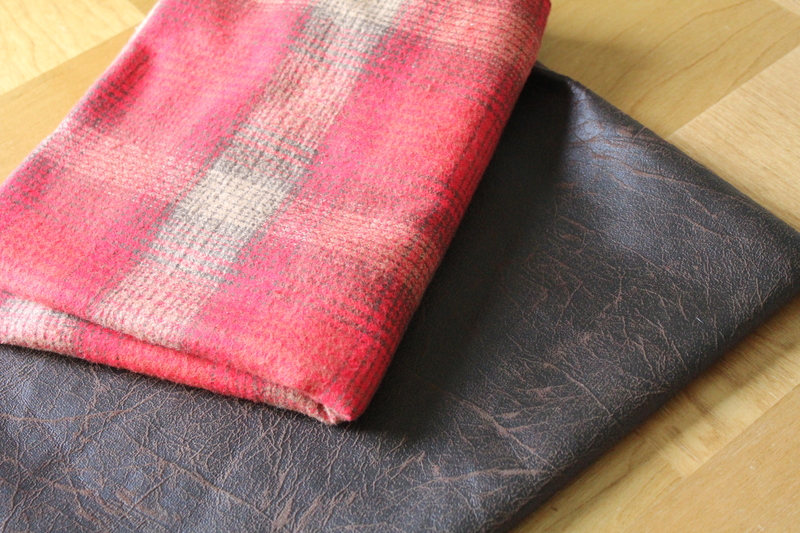 I am already getting excited about making spring colored covers, hehe. 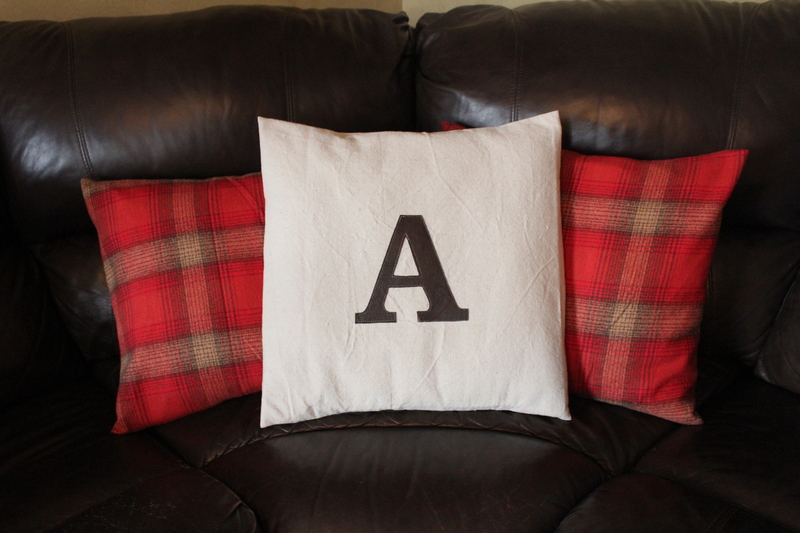 I can’t wait to see photos of your Handmade Pillow Covers! !